As games grew from the arcade era, story became increasingly important. 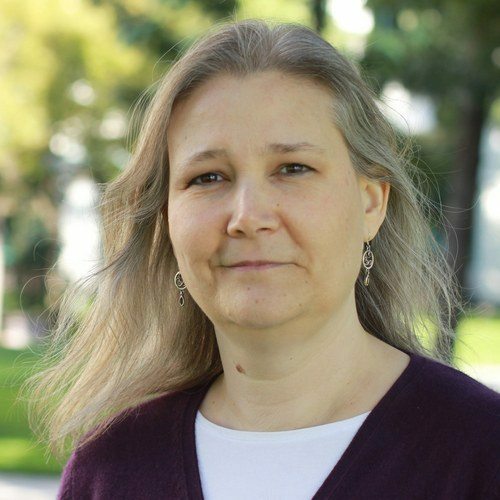 Amy Hennig is one of the industry’s greatest storytellers. At the time of this writing, her highly anticipated ‘Uncharted meets Star Wars’ game was ‘refocused’ by EA. We can only speculate what that means, but EA has publicly declared they’re more interested in games as a service, as opposed to games a customer might just play once. I figured it was about time we shone this series in Hennig’s direction. Although praised for her writing, Hennig actually started off in the art department. She created art and animation for a handful of titles, the most notable being Desert Strike (personal fav) and Michael Jordan: Chaos in the Windy City. She worked her way up to Lead Designer with EA, and would eventually head to Crystal Dynamics to work on her first landmark title: Legacy of Kain: Soul Reaver. Legacy of Kain was a creative take on the Zelda format but was too rough around the edges for lasting appeal. Soul Reaver – retrofitted to be a Kain sequel – put Hennig on the map as a dynamic creator. The game’s whizbang transistions between two simultaneously occurring planes was incredibly impressive and most importantly added a neat twist to puzzle solving and other core play mechanics. When we first shared the concept with our colleagues in the company, there was a lot of enthusiasm for the idea but also justifiable concern that we might be taking on an unrealistic number of technical risks. We pared back on some secondary features – we had originally planned to include shape-shifting (morphing) as well as plane-shifting, for instance – so we could focus on elements that were more critical to our core concept. By the time we unveiled the game to the press, we were starting to get the feeling that we might be onto something special. Our biggest challenge, hands-down, was getting the data-streaming working, to allow us to have a seamless, interconnected world with no load events. I think we were one of the first developers to tackle this problem (along with Naughty Dog, on Crash Bandicoot). It proved to be way more difficult than we had initially anticipated – if I recall, we were still struggling to get the textures to dynamically pack correctly, just a couple months before release. We ultimately got it working by the skin of our teeth, but I wonder if we would’ve embarked on such an ambitious plan if we’d known how difficult it was going to be! I’m extremely proud of how our relatively small team managed to pull off all those groundbreaking technical challenges. And as a designer, I still take pride in the originality of Soul Reaver’s vision, and the unified way we were able to mesh the game mechanics with the fiction – e.g., devouring souls for sustenance, and the way the spectral plane was integrated into the health system; how the combat mechanics were designed around defeating immortal vampires; the ability to glide on broken wings; and the balance between Raziel’s mechanics in the spirit and material realms, especially the ability to use the morphing terrain to your advantage. In many ways, I think it’s still the most well-designed game I’ve worked on. After two sequels, Hennig moved on to the company she’s perhaps most known for: Naughty Dog. She worked as a Game Director on Jak 3 but in an interview with GameSpy back in 2004, foreshadowed her soon-t0-be legendary story work on Uncharted. Amy Hennig: I’d like to. I miss it somewhat. I mean at this point I certainly don’t miss it, as I’ve got my hands full just working on the game design and the gameplay. But eventually … and you know, we do discuss things on that level, we talk about, we collaborate on the story. I give my feedback, and we talk about future ideas and things like that. I hope there’s more room for that in the future, because I would like to expand my skills in that area, storytelling and dialogue. And work with actors again, and all that kind of stuff. But that’s down the road. I’m okay with having a break from it. It was a big job. The post GTA III gaming landscape saw a lust for dark and gritty realism. Naughty Dog bucked the trend then with the Jak and Daxter trilogy. Their next-gen debut would be far more realistic, but still embraced bright colors and fun. Hennig went on to discuss their movie-production-like process when it came to capturing performances. “What you don’t normally get in video games at all is spontaneity and the improvisation that you get…I’m really proud of the way that stuff came out. That sense of believability was exactly what we were shooting for. I mean, if we didn’t get that right, I think the whole thing would’ve collapsed. Hennig raised the bar substantially with Uncharted 2 and maintained that excellence with Uncharted 3. The hype for what Naughty Dog could accomplish with Uncharted 4 on the PS4 was sky-high, but she wouldn’t make it to the end of this adventure. She put three years of work into the fourth iteration but eventually parted ways with Naughty Dog. Neil Druckmann and Bruce Straley (The Last of Us) removed most of her plot as they felt it better to create their own story from scratch as opposed to trying to guess how to end Hennig’s. Jason Schreier’s book Blood, Sweat, & Pixels tells a few sides of the story. Schreier details how Hennig’s vision for the game differed and the alleged reasons she departed the company. Uncharted 4, as Hennig envisioned it, would introduce the world to Nathan Drake’s old partner, Sam. We hadn’t seen Sam in previous Uncharted games, because for fifteen years Nathan had thought he was dead, left behind during a Panamanian prison escape gone awry. In Hennig’s version of Uncharted 4, Sam would be one of the main villains, bitter toward Nathan for leaving him to die. Over the course of the story, as Nathan tried to pull away from his roots as a treasure hunter, the player would find out that he and Sam were actually brothers. Eventually they’d heal their relationship and unify against the game’s real antagonist, a nasty thief named Rafe (voiced by the actor Alan Tudyk) who had served time with Sam in prison. Some say the Uncharted 4 team didn’t get the staff and resources it needed to survive, because The Last of Us and Left Behind had vacuumed up so much of Naughty Dog’s attention. Others say that Amy Hennig had trouble making decisions and that the nascent game wasn’t shaping up very well. Some who were working on Uncharted 4 wished that there was a more cohesive direction. Others thought it was perfectly understandable, considering how small the Uncharted 4 staff was, that the game hadn’t coalesced yet. Several people who have worked for Naughty Dog say Druckmann and Straley stopped seeing eye-to-eye with Hennig, and that they had fundamental disagreements on where to take the Uncharted series. When Hennig left, she signed a non-disparagement agreement with the studio that would prevent both her and Naughty Dog from making negative public comments about what had happened, according to people familiar with the arrangement. Hennig joined EA’s studio Visceral (Dead Space) to work on a single-player Star Wars game. Many fans were excited to see what kind of story Hennig – heavily influenced by SW as a child – could bring to the license. Especially after the mediocre multiplayer-centric Battlefront. Much was made of EA’s statement regarding a heavy focus on games as a service, but more information has come out that Visceral was never equipped to handle this ambitious of a game. Labour costs in Visceral’s city of San Francisco and the need for constant Disney approval handcuffed the studio and set them up for failure. Hennig’s Star Wars game will live on only in legend and her next move will be closely monitored by many. She’s already done more than enough to earn her spot in our series, and I’ll keep be waiting patiently for her next creation.